Two Sensors are Better Than One - CMM Inc.
Multisensor coordinate measuring machines offer accuracy and speed for small complex parts. Metrology is a matter of trade offs. Conventional coordinate measuring machines (CMMs) using touch probes are highly accurate, but relatively slow and cannot be used to measure soft parts that are prone to deflection. Laser scanners are comparatively faster and capable of measuring thousands of points, but they have trouble with reflective surfaces. Video measuring machines are faster than touch probes and more accurate than laser scanners, but they can only operate in what’s known as 2½D, getting their z-axis via focus. 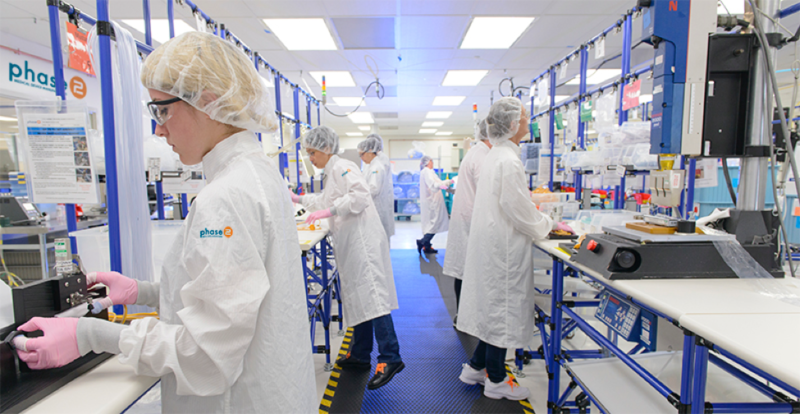 Now consider a job shop specializing in medical device manufacturing, whose newest customer has placed a large order for small, complex parts with tight tolerances. What’s the best inspection tool for this type of job: tactile probing or video measurement? Tactile probing, laser and video measurement need not require separate tools. That’s the beauty of a multisensor coordinate measuring machine. There are two ways to get a multisensor CMM, distinguished in terms of base machine on which they’re built. 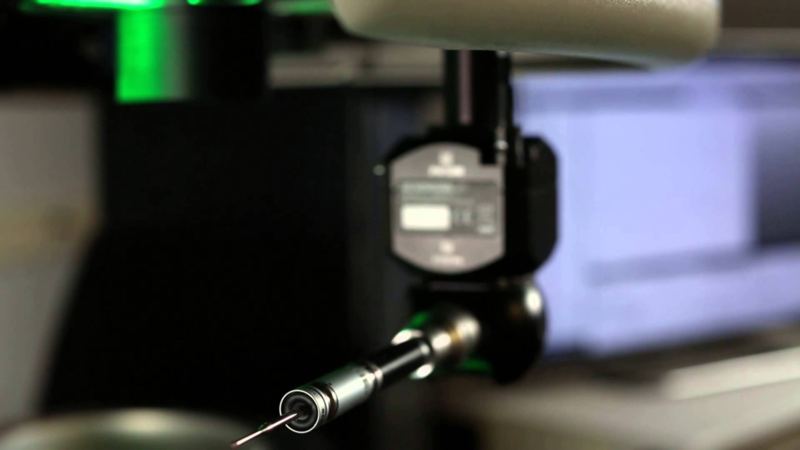 You can start with a conventional CMM and add new sensing capabilities via additional probe heads. Analog probes and laser scanners can help to improve the machine’s speed. The majority of multisensor CMMs, however, are based on video measuring machines, where adding a touch probe or spot laser elevates the machine’s capabilities to full 3D. The advantage of multisensor CMMs goes beyond their flexibility, since the data from the separate sensor modalities can be correlated based on known relations between them, improving both accuracy and repeatability. The sensors can also compensate for one another, filling in the gaps in their capabilities, such as a tactile probe’s difficulties with pliable components, a laser scanner’s difficulties with reflective surfaces, and a video machine’s difficulties with uneven lighting. Laser scanners and video systems can measure parts that would be distorted by touch probing, such as clay models or thin-walled plastic parts. Operators can also use video machines to perform surface, edge and other 2D measurements that would be difficult to inspect efficiently with a touch probe. Similarly, tactile probes and spot lasers enable operators to measure parts in three dimensions. They can also measure key, high-tolerance features with far greater accuracy than a laser scanner, on par with a conventional CMM. 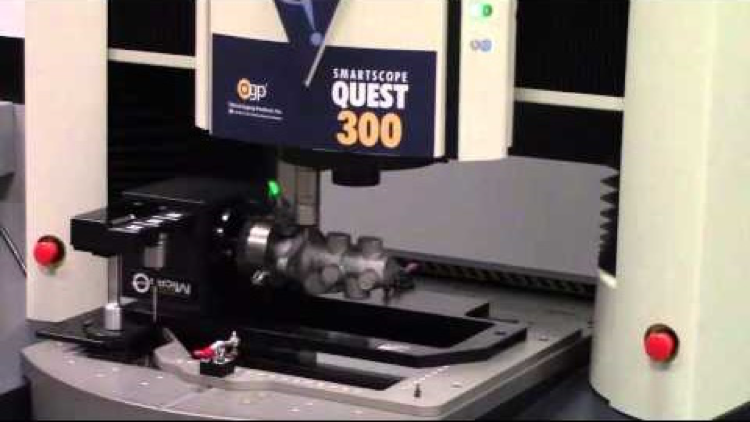 The OGP SmartScope Quest 300. Yet despite combining two or more distinct sensor technologies in a single on-board group, multisensor CMMs face no resulting compatibility issues thanks to the system’s unified software. Additionally, from an automation standpoint, most multisensor CMM manufacturers also provide options for automatic part loading, robotized placing and communication with CNC machines. From an operator’s standpoint, the training for multisensor machines is similar to that of conventional CMMs or video machines, with accommodations for the additional sensor capabilities. This means that if a job shop already has a traditional coordinate measuring machine or video system, upgrading to a multisensor CMM can be a relatively painless transition. Here at CMMXYZ we offer training to make this transition seamless. Typically, multisensor CMMs have a small measuring volume—less than 500 mm on the X and Y axes and less than 150 mm on the Z. They generally come in one of two standard configurations: two sensors (video and probing) or three sensors (video, probing and laser). This makes multisensor CMMs well-suited to small and complex part production and components that are not compatible with traditional CMMs—for example, components which would be distorted by a standard touch probe. Although multisensor CMMs are usually found in the quality lab, many manufacturers are beginning to use them on the shop floor. In these situations, they require a small environmental enclosure. 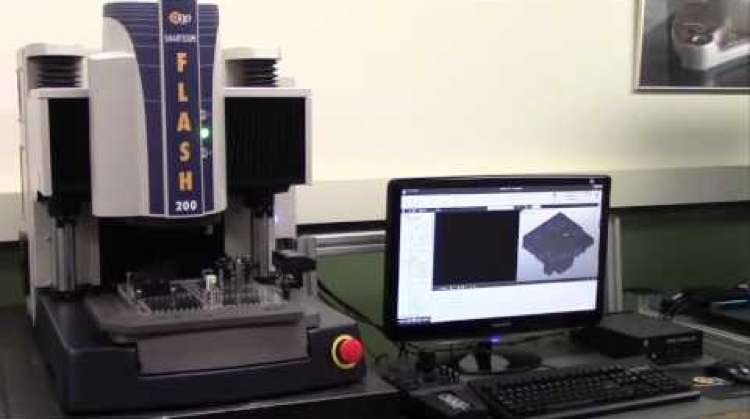 One of the first industries to utilize multisensor CMMs was electronics manufacturing, which initially applied them to measuring and inspecting printed circuit boards (PCBs). Nowadays, the use of multisensor CMMs extends to medical devices, plastic bottles and other thin-walled products. So how does a multisensor CMM compare to a traditional CMM? Consider a specific feature measured by a CMM or a video system, say a 4-inch line. We can imagine the CMM taking discrete points along that line, perhaps 10 in total. The video system, in contrast, has full field of view processing, meaning the entire line is measured mathematically with thousands of points by utilizing complex algorithms. If the feature in question is on an essentially 2½-dimensional part, then the video system is able to capture that feature 10 to 20 times faster than a CMM using a touch probe, and with enhanced repeatability, since all the edges (i.e., lines, holes and nonconforming shapes) are measured in their entirety. The OGP SmartScope Quest 650. While it’s true that CMM equipped with an analogue or digital scanning head has the ability to look at features with greater repeatability compared to a tactile probe, it’s still a time-consuming operation, especially compared to a video system. The moral here is that the more intricate the part, the more suitable a multisensor CMM is for measuring it. Moreover, the multisensor system can measure parts extremely quickly compared to traditional coordinate measuring machines—up to 20 times faster. The metrologist’s dream tool is extremely fast and highly accurate, two properties that are so difficult to bring together in a single instrument that they are almost mutually exclusive. On one end of the spectrum, traditional coordinate measuring machines offer high accuracy at the cost of speed. On the other end, laser scanners offer high-speed measurement at the cost of accuracy. Multisensor CMMs lie somewhere in between these two extremes, using video to combine accuracy with speed to create a powerful metrological tool. The OGP SmartScope Flash 200. As with all tools, there are still trade-offs. Multisensor CMMs are best suited to applications requiring relatively small measuring volumes, though they can measure these small parts very quickly by allowing multiple parts (sometimes 20 or more) simultaneously. That’s why, for manufacturers working with small and complex parts, two (or three) sensors are definitely better than one. For more information, view our Vision and Multisensor Systems page.